After Portland the Plugged in Tour came to Seattle, bringing one of the largest fields of 59 contenders as well as Lukas and Dawson from FFG. 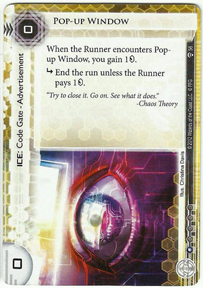 The venue ( CardKingdom) was great, and was swarming with Netrunner players from all over. The core of Alex’s decks were the same, however I made changes from his original versions. 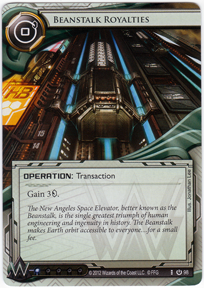 The big difference between our decks is that I cut Forged Activation Orders from the deck entirely. 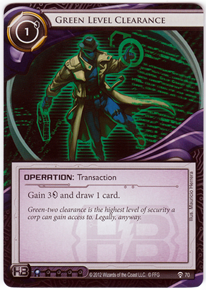 I have come to have a very unfavorable view of Forged lately, and it isn’t currently a card I am excited to play with. With people shifting to lower cost ice and seeing Pop-Up Windows everywhere, Forged has lost a lot of its bite. The one big mistake I made was not putting Special Order at 3. The only thing that gives this deck pause is the inability to break through a certain type of ice. Three Special Orders is just significantly more consistent than any other card would be in that slot. Consistency is especially important for Runners as they are currently favored, and being consistent helps you to capitalize on any imbalances between sides. 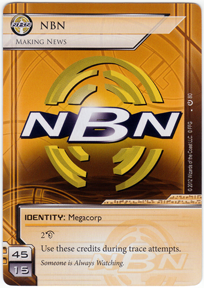 The differences between Alex’s NBN deck and mine are more substantial. I moved to a much heavier focus on operation economy (removed Mining Corps, adding Beanstalks), as well as shifting up the agendas and ice slightly. Our decks try to do the same thing, but my version has superior burst economy, while Alex has potentially more intimidating ice. The beanstalks served me well all day, and they easily earned their spot in the deck. The tournament lasted for five rounds of Swiss with the winner being determined by the highest prestige at the end of the day. During the tournament I faced some tough opponents (three of those in the top 8) but ended up with the best record as the only undefeated player with 9 wins and 1 timed win. The field was very tough and surprisingly diverse, and over the tournament I encountered several challenging situations. This round Andromeda took control of the game right from the start. Yuri had a rough start, while I had a strong one. I had a full rig and plenty of credits to keep running at a very early stage of the game, and the porous defenses just make the Datasuckers that much better. A turn 4 Plascrete allowed me to not worry about SEA Source and control R&D for the victory. This game ended up taking a long amount of time because Yuri’s agendas were clumped at the bottom of the deck, making our next game end go to time before it could finish. When everything comes together in Andromeda there is not much you can do to stop her, and this is what happened this game. Andromeda really had to work this game for the win. 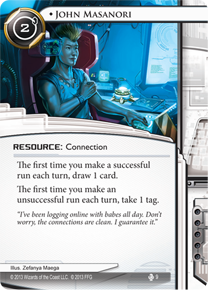 In the first few turns, Sean created a remote server with two ice and then placed a card into it. I ran in to see what was there only to be kicked out by an ICE Wall. This was a problem because I had no Corroder, Crypsis, or Special Order. Before I could find a way past a barrier, Sean had triple advanced his remote server twice, scoring a Mandatory Upgrades. This was bad news for me, as an early Mandatory is insanely hard to beat. Allowing the Corp to just score any 3/2 directly out of hand is a big problem and I had to be smart if I was going to turn the game around. In scoring the Upgrades, Sean had gone pretty poor, and my follow up siphons and shutdowns allowed me to maintain control of R&D with Interfaces long enough to barely scrape out a win. This was probably the hardest game to pull off for Andromeda all day, and the only reason I was able to is because of how efficient the complete rig is at running every single turn without relenting. Both of my decks operated flawlessly these games. Andromeda started running on turn 2, and never let up. This game was where John Masanori finally stood out, between Masanori, Desperado, and Datasuckers my runs were insanely profitable. I was able to never let up on the pressure while slowly accessing agendas and building board presence. 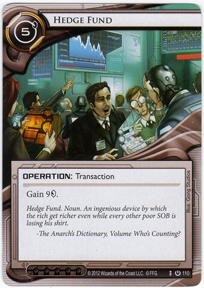 When the runner can access several cards a turn at profit there is little the Corp can do. This was the one game where John Masanori really came into his own and was worth it, but in the other games during the tournament he was mostly a non factor. Darwin really pushed my NBN deck to the limits in our match. By turn 6, Darwin had sniped 2 Astroscripts and a Beale from R&D on single accesses. At that point in the game I had zero agendas scored at all. Needless to say, I was certain the game was out of my grasp at this point. Luckily for me, this was a game where I was really able to leverage NBN’s strengths of economic aggression. With Breaking News I was able to trash several key economy resources and keep Darwin poor. As Darwin’s primary breaker was, well, Darwin (bonus points for coolness), I was able to strategically wipe viruses and allow me to sneak agendas through. 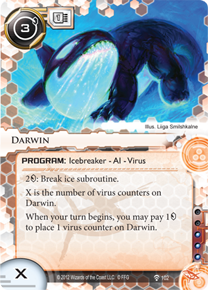 Darwin’s deck was very aggressive, and he stayed on the attack as much as he was able to with his meager economy. I was worried that one good mill would seal the game, but in the end Jackson Howard was able to protect me from death by milling, allowing me to barely steal the win with not a single Astroscript counter. The final match culminated in another very intense Corp game. 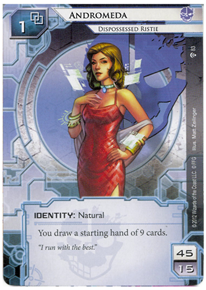 Jesse had a very slick economic denial Whizzard deck running Account Siphon, Same Old Thing, and Vamp. During the course of this game I was Siphoned 5 (yes FIVE) times and Vamped. The only reason I was able to even stand a chance this game was because of my focus on an operation based economy. Reliability. Operations cannot be trashed normally, meaning your opponent has no say in whether you get those credits. Nothing recovers better from a Vamp or an Account Siphon. They allow for quick bursts of income, allowing you to leverage temporary advantages to do things like scoring Astroscripts early. They make your R&D stronger by having less trash-able cards. Whizzard does not make you cry. The only way that I was able to even remotely stay in the game, is that I could follow up a siphon with an immediate Beanstalk into Closed Accounts. Nullifying his advantage, and putting me back into solvency. Jesse’s deck went all in on tags early, and my three Closed Accounts were able to heavily punish him. I was finally able to win the game with 2 credits and an Astroscript counter scoring a 3/2 agenda after a great game that was very challenging. And with that the tournament was over. Final Record: 9-0-1. 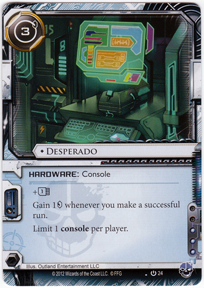 5-0 as runner, 4-0-1 as corp. The Plugged in Tour was incredibly fun. Thanks to FFG for putting on a ridiculously cool event that really helps to further the community. It was a blast talking to Lukas and Dawson, and my only regret of the tournament is that I didn’t get nearly as much time to talk with them as I wanted. Fantasy Flight has really outdone themselves on the tour, and I am excited to see what they have planned for the future. Finally, a special shout-out to Andrew Veen who ran an amazing tournament and was really on top of everything.